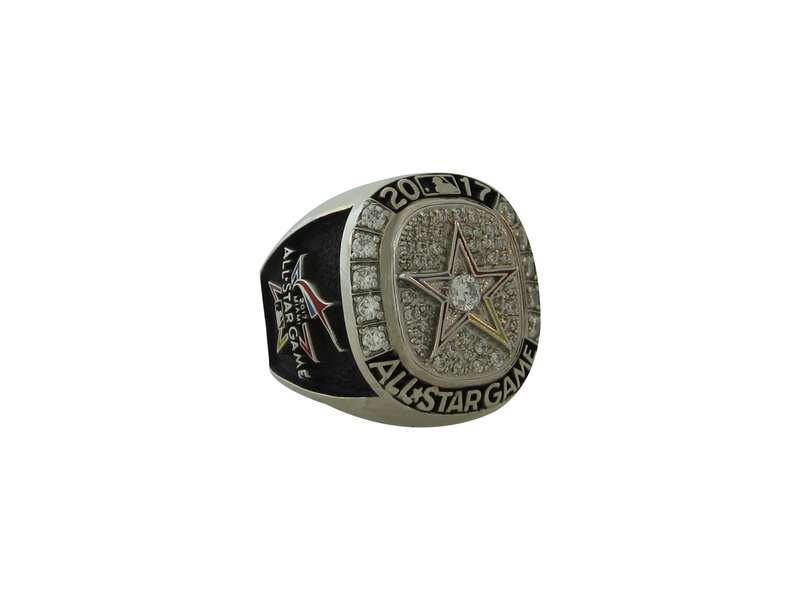 This All-Star ring is one of the tougher rings to find and is probably the nicest one made. This All-Star Game was the 88th edition and was hosted by the Miami Marlins at Marlins Park on July 11, 2017. The American League would win 2-1 with Robinson Cano winning the games MVP award. Name of individual that received this ring is stamped inside. 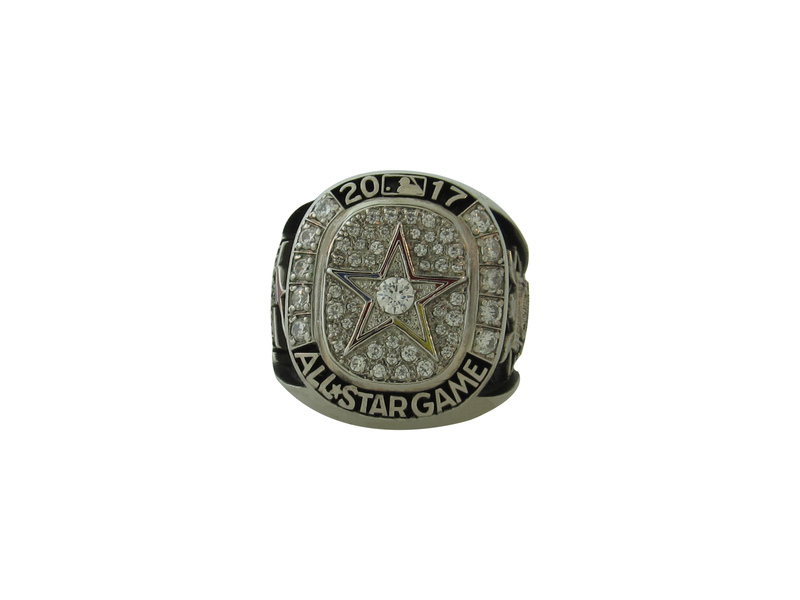 The ring is non-gold with 2017 All-Star Game with CZ's all around the top. 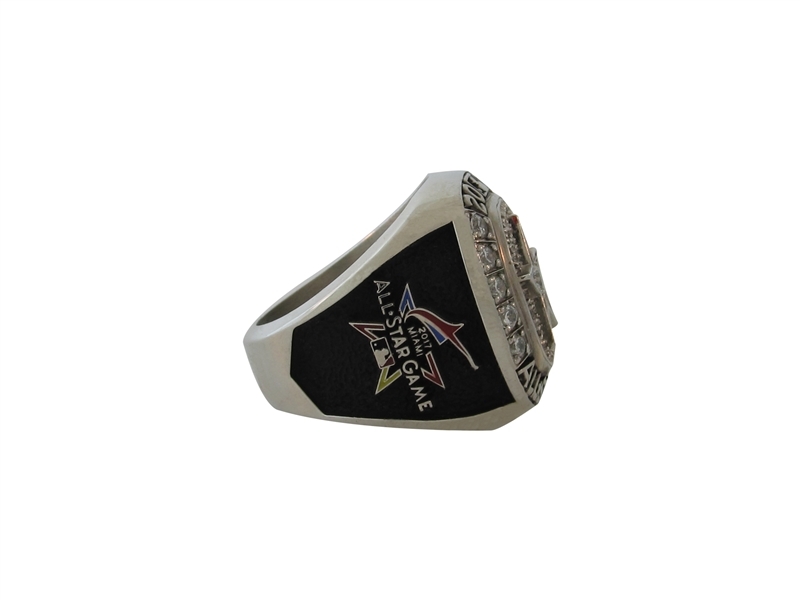 The right side has the Marlins 2017 Miami All-Star Game. The left side has the National League logo. The ring is a size 10.5. 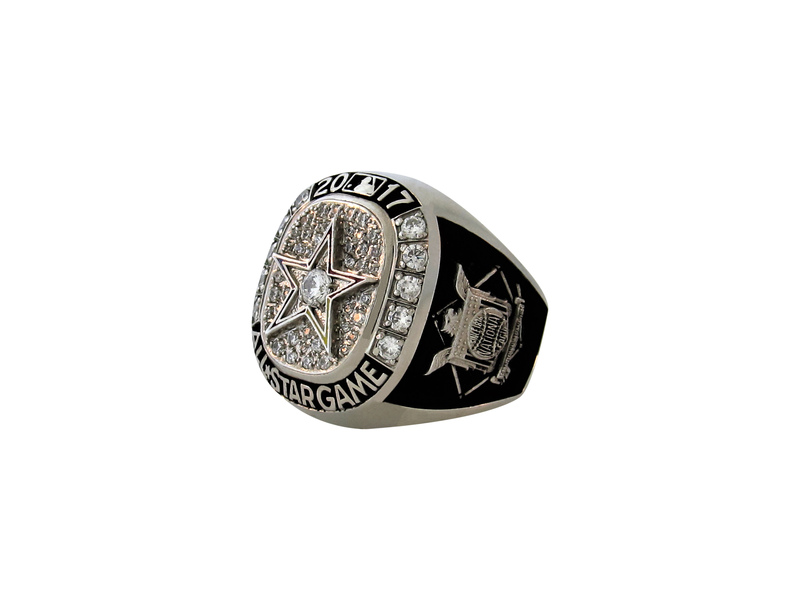 The last time names were put into All-Star rings was 1984 and that was on the side.